Many home gardeners include a water feature, such as a pond, to add interest to the landscape and create a relaxing oasis to retreat from the chaos of daily life. 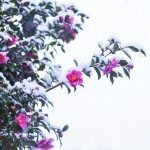 Water gardens require year-round maintenance, even in winter, and unless you are lucky enough to have a professional groundskeeper, this chore will fall to you. A big question is how to winterize pond plants? The question of what to do with pond plants in the winter depends upon the plant. Some plants will not tolerate winter temps and must be removed from the pond. For cold hardy specimens, overwintering pond plants may simply mean immersion in the pond. Before winterizing water plants, it is a good idea to manage the water garden itself. 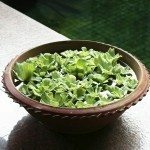 Remove dead leaves and dying plants. Inspect any pumps and change filters as needed. Quit fertilizing the water plants when the daytime water temp drops to below 60 degrees F. (15 C.) to give them time to become dormant. Now it’s time to categorize the water plants to determine a course of action for caring for pond plants over winter. 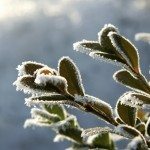 Plants that are cold tolerant can be left in the pond until the top is frost damaged, at which point prune all the foliage off so it is level with the top of the pot. Then lower the pot to the bottom of the pond where the temperature remains a few degrees warmer throughout the winter. Lotus and hardy water lilies are an example of water plants that can be treated in this manner. Plants that are non-hardy are sometimes treated as you would annuals. That is, remanded to the compost pile and replaced the next spring. Water hyacinth and water lettuce, which are inexpensive and easy to replace, are examples of these. 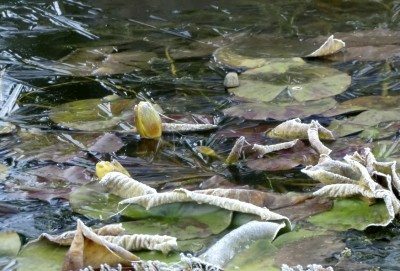 Overwintering pond plants, such as lily-like aquatics, need to be submerged, yet warm enough. A good idea is to submerge them in a large plastic tub in the greenhouse, warm area of the house or use an aquarium heater. Examples of these are floating heart, mosaic, poppies, and water hawthorne. Winterizing other non-hardy water plants can be accomplished by treating them as houseplants. Some examples of this are sweet flag, taro, papyrus and umbrella palms. Just keep them in a water-filled saucer and place in a sunny window or use a grow light on a timer set for 12-14 hours a day. Caring for delicate pond plants, like tropical lilies, over winter is a bit more difficult. These beauties are only hardy to USDA zone 8 and higher and like a water temp of 70 degrees F. (21 C.) or greater. Air dry the lily tuber and remove the roots and stem. Store the tuber in a jar of distilled water in a cool, dark area (55 degrees F/12 degrees C). 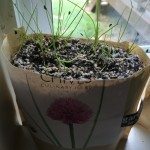 In the spring put the container in a warm, sunny place and watch for sprouting. Once the tuber sprouts, set it into a pot of sand and sink this into a container of water. When leaves have grown and white feeder roots are visible, replant into its regular container. Return the lilies to the pond when water temps are 70 degrees F.
For a lower maintenance pond, use only hardy specimens and be sure to install a deep enough pond for overwintering and/or install a water heater. It may take a little work, but it’s well worth it, and in no time spring will return as will your water garden sanctuary.